Sweet summertime is here, and it is HOT in Texas! Houston has hit the glorious 90 degree heat with 100% humidity already, but I’m still forcing myself outdoors to enjoy the beauty of the season and continuing to turn on my oven to bake. A refreshing dessert that wouldn’t melt away in the sun was on my mind, so naturally I referred to my go-to fave combo of citrus and berries. 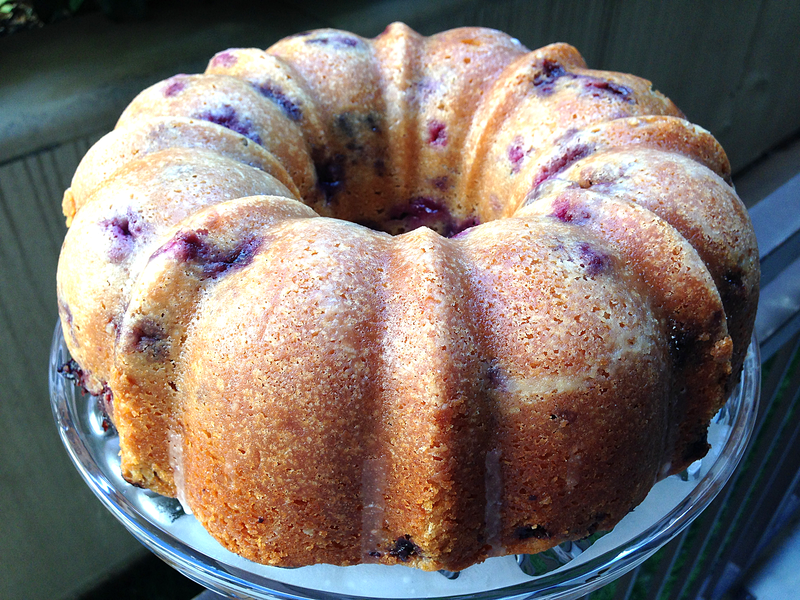 Lemons and blueberries come together lovingly in this sweet cake. It’s somewhere between a lemon pound cake and a homemade blueberry muffin (so I can count this cake as a breakfast food, right?). Its beautiful colors and zingy glaze make it perfect for any picnic in the sun. Imma slip on some shades and show you how it’s done! 1. Preheat the oven to 325 deg F. Prepare your bundt pan by spraying it with Pam or cooking oil and dusting it with flour all over. Cream together the butter and the sugar until smooth. 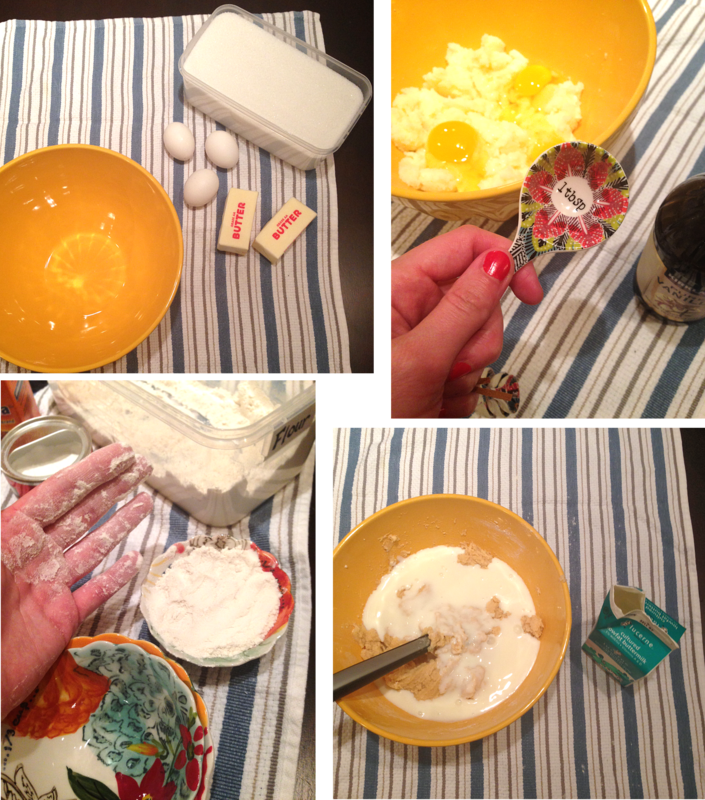 Add the eggs and vanilla and combine. 2. Add flour, baking powder, baking soda, and salt together on top of the other ingredients and mix until you have a gooey consistency. Add the buttermilk and fully combine the ingredients into your cake batter. 3. Zest two lemons and stir in to the bowl. Wash your blueberries and dry them off. 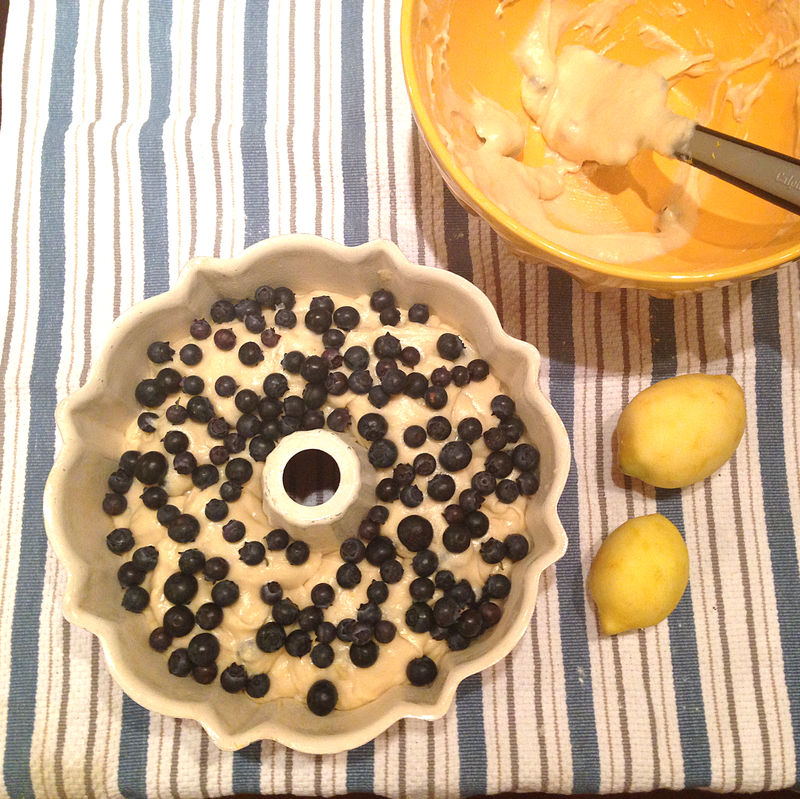 If you are using an electric mixer, remove the bowl and hand fold in half of the blueberries to the cake batter, making sure to be gentle with your mixing to not pop the berries and cause your cake to turn blue! 4. 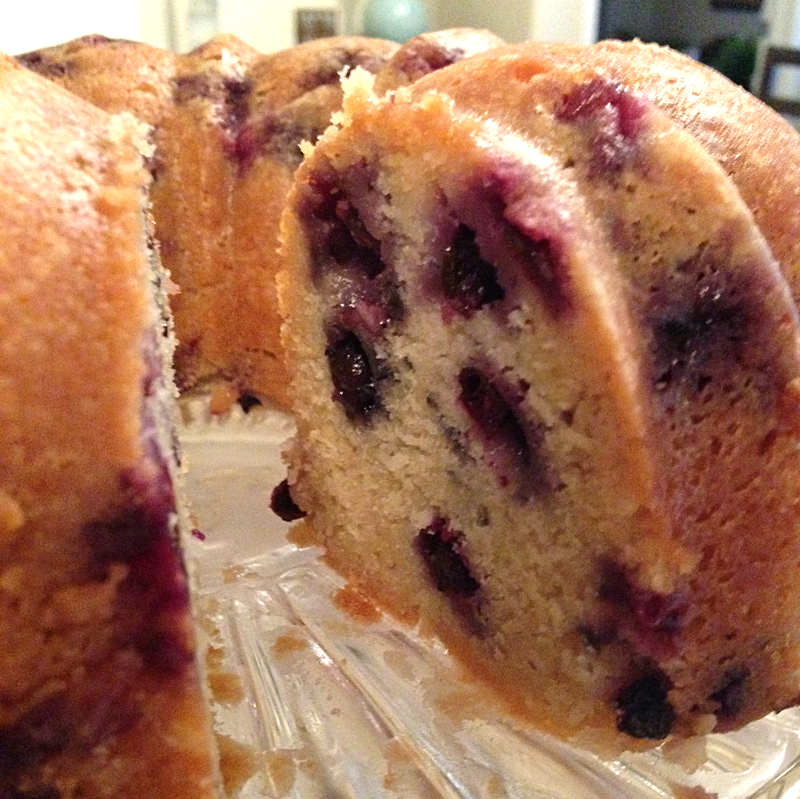 Pour the cake batter into your bundt and sprinkle the rest of the blueberries on top of the cake. 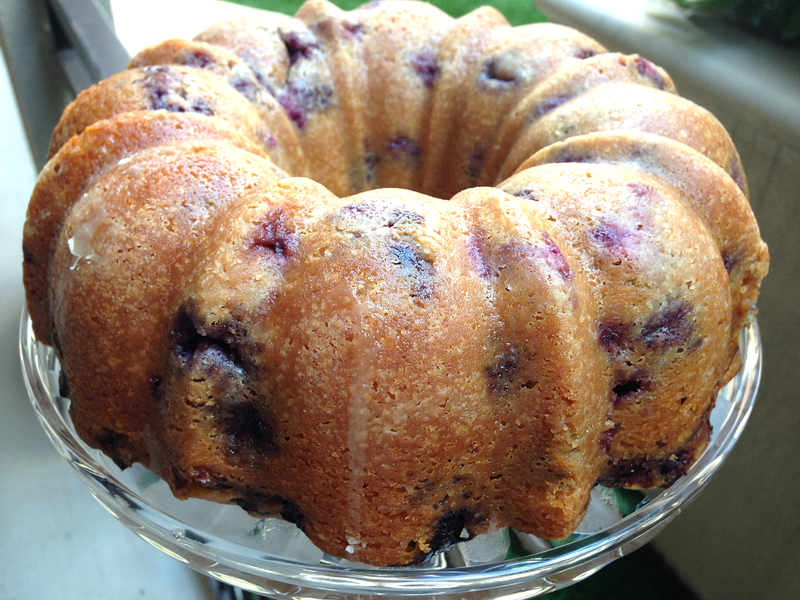 The batter starts to rise around the blueberries so by adding the berries on top of the cake, you make sure you end up with berries all throughout the cake! Even the cake batter out with a spatula, and throw the cake in the oven for 60-70 minutes until a toothpick placed in the center of the cake comes out clean. 5. 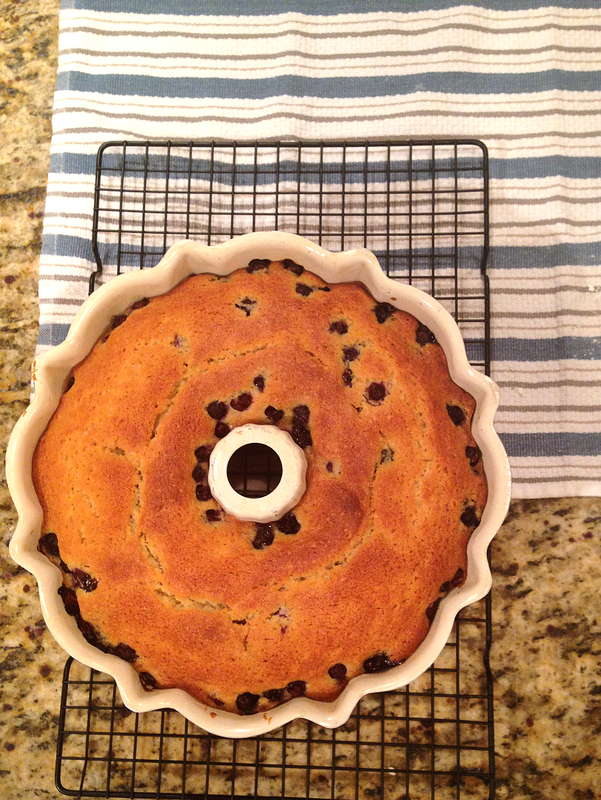 Once baked, take your cake out and let it cool on a wire rack in the pan for at least 20 minutes. Run a knife around the edges of your pan and flip the cake out. 6. While the cake is cooling, mix up your glaze by putting the lemon juice with your powdered sugar in a bowl. The consistency should be slightly thick and very white. If needed, add more powdered sugar. 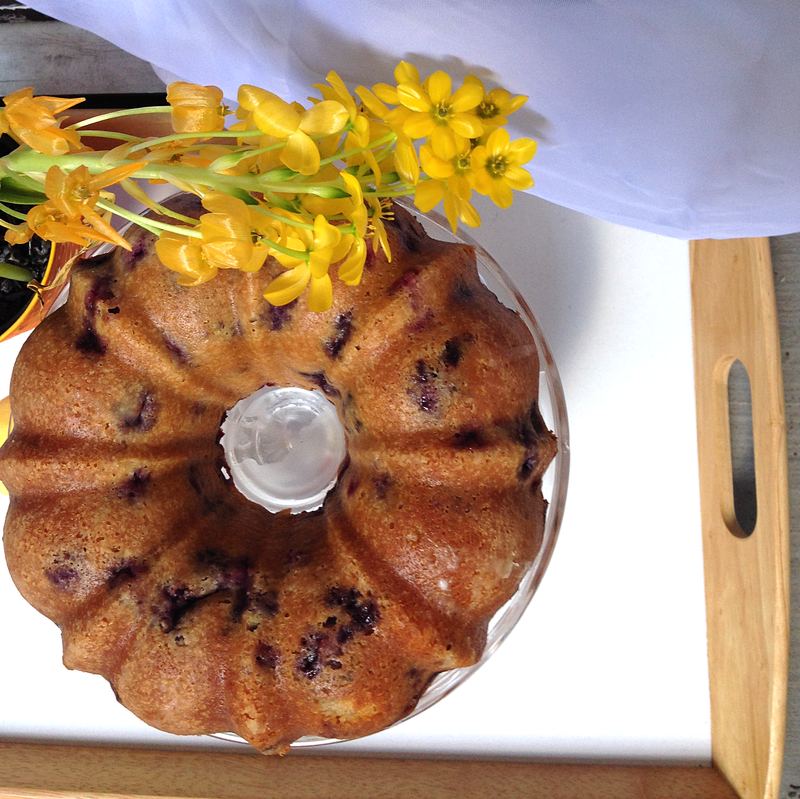 Pour the glaze over your cake and serve with flowers and a side of iced tea! Made it today for the Fourth! Mixed it up by using raspberry and lime as my sweet and sour pairing after a reading a note from another recipe on the site. Delicious! Omg yummmm! Love the sound of that!! 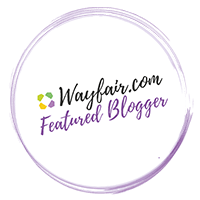 I simply could not leave your web site before suggesting that I really loved the standard info an individual provide to your visitors? Is going to be back continuously to check out new posts.